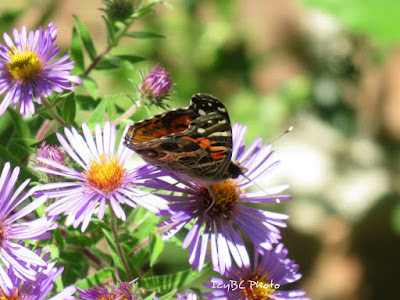 Summer is coming to an end here in my neck of the woods, and fall flowers are blooming. My wild aster flower patch is at its peak and have been receiving many different visitors. 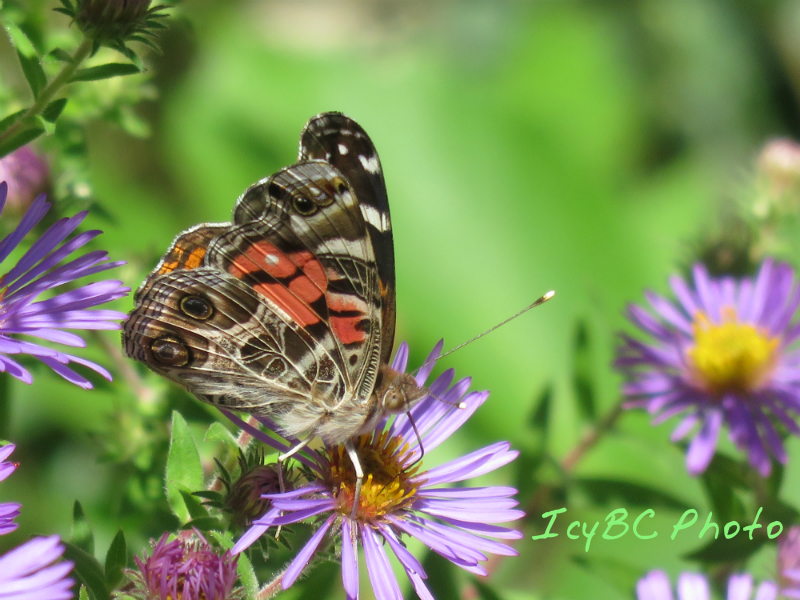 Nothing makes me more happy than seeing butterflies, and this beautiful painted lady did just that. She brought me happiness and amazement since it is almost the end of September. I have a feeling that butterflies, skippers, and bees will be on their way to a different warmer climate soon. Our early morning and evening have been very chilly. It will only get colder when the winter arrives. Flowers bloom and flowers fall. That is no way to be changed. Oh my she's beautiful. Stunning shots! Very nice pictures of this butterfly. I hope it's not the last one you see this year. The cycle of season repeats. We then get older and older. welcome fall, I think, but it has got cold and windy the past few days! 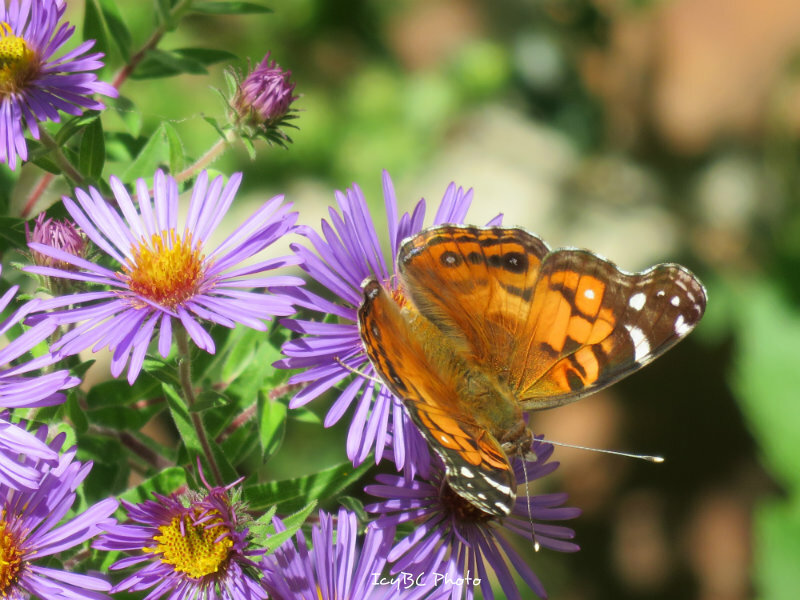 Beautiful butterfly on autumn flowers. Regards. And it is autumn now. November is going to come, and is December. I'll say Merry Christmas to you. All three are beautiful and the first one is amazing. We just had our first cold and rainy day in about 10 months. It's been a long and dry summer down here.